Washington Academy of Languages at City University of Seattle offers an internationally-recognized graduate level TESOL (Teaching English to Speakers of Other Languages) certificate program for teaching English here and abroad. A Bachelor’s degree and English proficiency are prerequisites for admission to the program. We also offer a Master of Education in Adult Learning with a TESOL Emphasis. Flexible. Our courses are designed for the working professional. Accommodating to your needs. You choose your timeline: get your TESOL certificate in our five-week in-class summer intensive, in three quarters online, or in three quarters in the mixed mode. Practical in our teaching approach. We offer one of the only online-certified TESOL programs that includes 10 hours of observing live English instruction. Professional. Provides the perfect place for you to see and practice what you’ve learned. Our Intensive English Language Program serves as a live laboratory for teacher candidates. You can apply this certificate toward a Master of Education in Adult Education with TESOL Emphasis, or directly enter the classroom working with English language learners. You could teach English to adult learners overseas. You could use your skills in administrative roles with English acquisition organizations in the U.S. or abroad. Whether you’re entering the workforce or changing careers, the TESOL certificate will prepare you to face the unique rigors of classroom teaching. 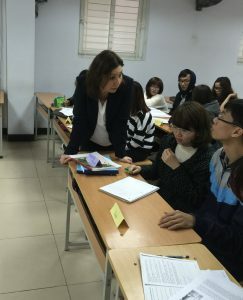 The TESOL Program gives participants a foundation in second language acquisition theory, language teaching methods, and cultural issues related to teaching a diverse student population. Participants acquire hands-on experience utilizing contemporary instructional methods. Emphasis is placed on the practical aspects of teaching. Most program graduates find work teaching English to adult learners overseas. Others apply their learning to classrooms in the U.S. or use their knowledge in administrative roles with English acquisition organizations in the U.S. or abroad. Our graduate certificate is available online, mixed mode or in a 5 week summer intensive format. Decide which mode is best for you.